I’m confused….where do you find these tips and tricks? I am also confused by this posting. Please clarify. The Tips and Tricks series is simply a way for us to educate visitors to our site on features found on our website. 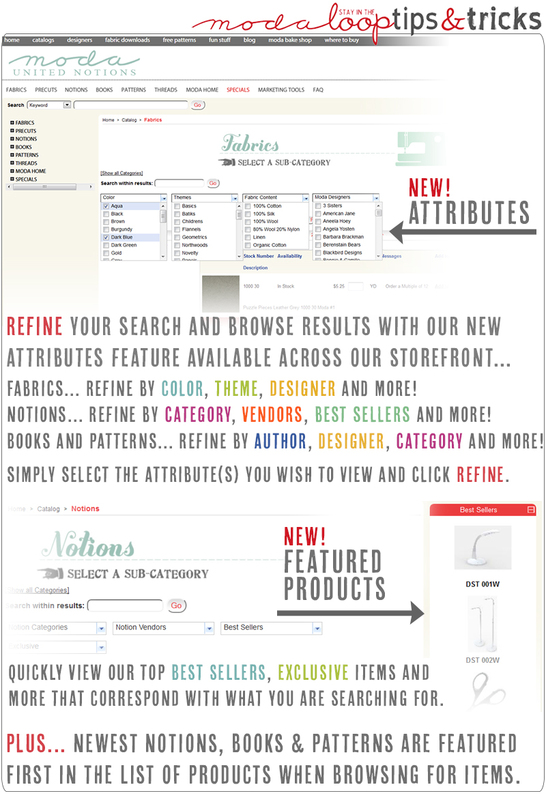 The attributes feature described in our post is a new feature on our storefront catalog where if you click on Fabrics, precuts, Notions, Books, Patterns, etc you can Filter or Refine your browse results by clicking on an attribute contained within the drop downs under the page header and then clicking the REFINE button to narrow the results that are displayed with the criteria you selected to refine by.